MLB Power Pros is a baseball video game. It is part of the traditionally Japan-only Jikkyō Powerful Pro Yakyū series of video games, and is the first game in the series to be released outside of Japan. 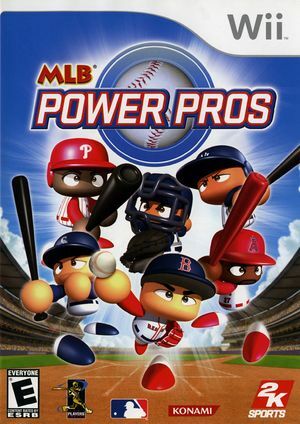 A sequel, MLB Power Pros 2008, came out on the next year. MLB Power Pros is capable of using both GameCube controllers and Wii Remotes. If a physical controller is set to emulate both a GameCube Controller and a Wii Remote concurrently, it will operate both devices at the same time. To fix, migrate controls to use separate physical controllers. This game's banner does not save properly, resulting in a 0KB file. The game itself does not suffer from this - its save still works properly. While this may affect the gamelist, it also affects emulation slightly. When viewing MLB Power Pros save file (or its sequels) in the Wii System Menu, it will show up improperly. Refer issue 5387. Fixed by 5.0-6907. The graph below charts the compatibility with MLB Power Pros since Dolphin's 2.0 release, listing revisions only where a compatibility change occurred.